Mad as a march hare are the folks at Dark Horse Comics. Not only do they keep the Star Wars hits coming in their March solicitations, they offer a book showcasing the art behind Alice: Madness Returns. Of all the cover art in the line-up, this crew form the top four. 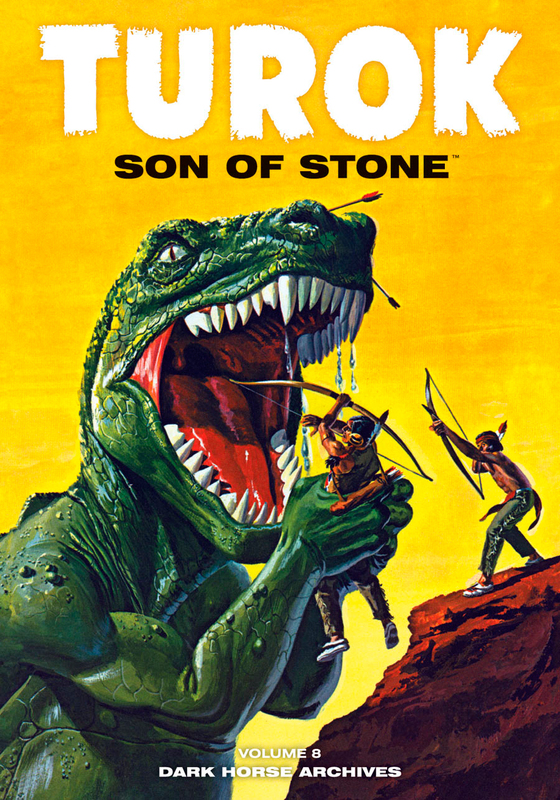 ONE TO WATCH: TUROK, SON OF STONE ARCHIVES vol8 A good pulp cover never goes astray and this little number proves just that. Cover or poster, this is one image totally fit for framing. ARTIST AND TITLE: American McGee - The Art Of Alice: Madness Returns, Darick Robertson - King Conan: The Scarlet Citadel #2 (of 4), and Ryan Sook - B.P.R.D. : Hell On Earth - Gods #3 (of 3). More Dark Horse March madness after the jump.